It's starting to seem like all I do is wear plaid. Tis the season I suppose. Today's look is a super teachery take on the plaid trend, but there are so very many other ways to pull off this cold-weather staple. 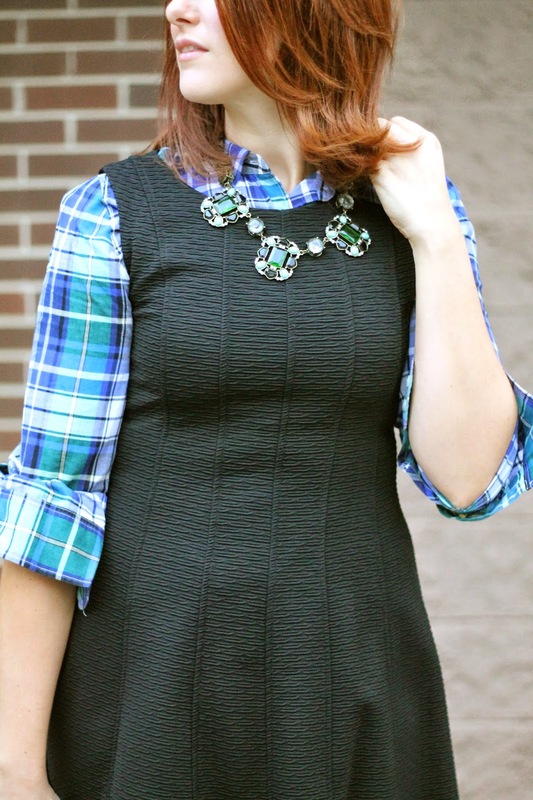 I've been loving Old Navy's plaid flannel tops that I've worn with both pencil skirts and jeans, They also make for great layering pieces for a pop of color under an otherwise ordinary sweater (love this one on clearance for $18). I've even gone so far as to incorporate plaid into my outerwear with this plaid moto jacket! 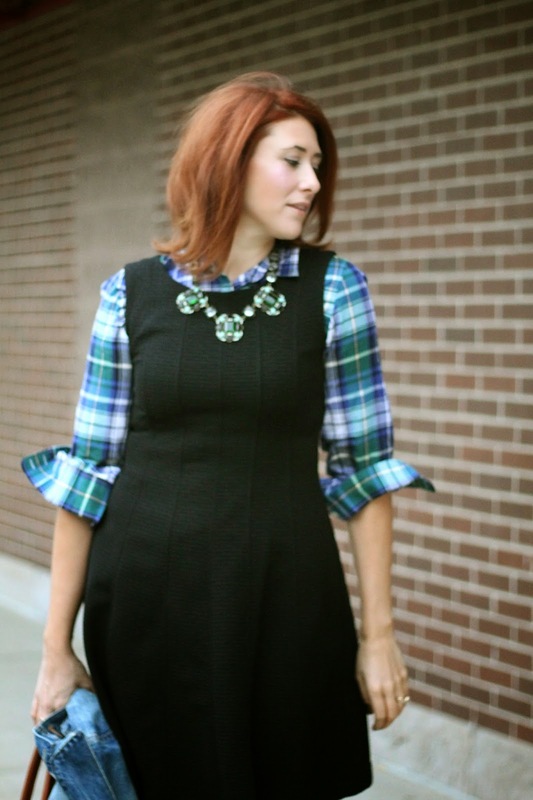 I've got a little plaid round-up from bags (how cute is that duffle bag?!) to shoes to help you jump aboard the plaid trend!